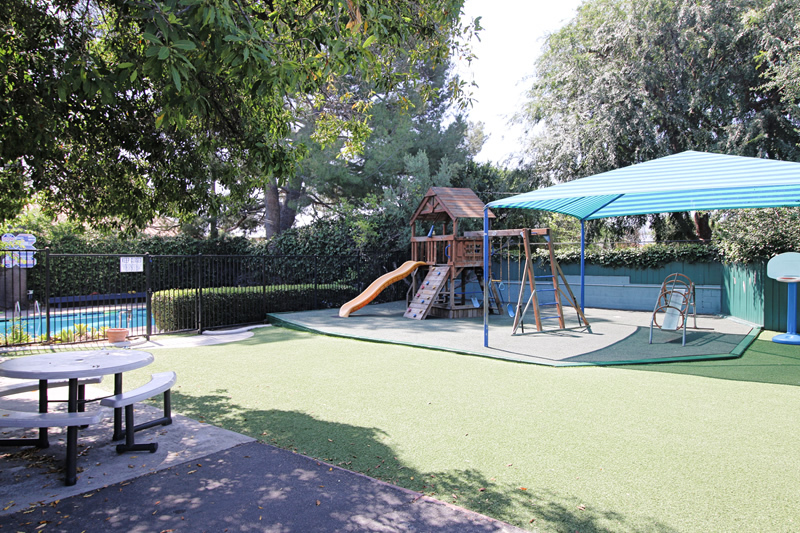 Our playground is carefully designed to cater to your growing child. We have 2 separate playgrounds one for Kindergarten and one for our Elementary school students. The shaded corner lined with tables is where our kindergartners eat their snacks and lunch. It is also another learning experience for them where they learn to eat properly using napkins and proper utensils. It’s a time for laughter fun and socializing with friends. Our play structure is also designed to further develop your child’s motor skills. The in house pools serves as a great place to cool off during the hot months of the summer. Free swim is offered during the hot months of the summer. We also offer swimming lessons during the months of June & July by a professional instructor with 13 years’ experience and updated certification. A great way to Learn a survival skill whilst having fun. The Elementary playground comprises of a climbing structure for the older kids and basketball courts for those active kids.